Buy 50 sheets of A4 Paper for the price of 25! 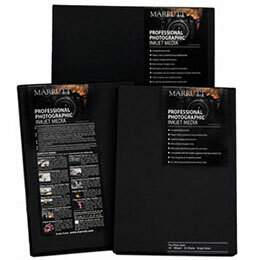 Marrutt Professional Photographic Papers are suitable for all desktop and wide-format printers. Stunning Range of 9 Professional Papers. 50 SHEETS OF A4 MARRUTT INKJET PAPER FOR THE PRICE OF 25! All papers include a voucher for a FREE Custom Printer Profile.